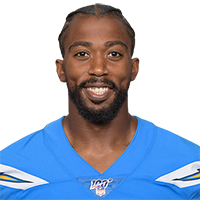 Taylor finished the 2018 season having completed 49 percent of his passes for 473 yards with two touchdowns and two interceptions in four games. Analysis: Taylor wasn't heard from much after getting knocked out of the Browns' Week 3 matchup with the Jets, a game in which rookie Baker Mayfield came in and led Cleveland to victory before being named the starter for the rest of the season. While Taylor wasn't particularly impressive even when healthy and seeing playing time, he's still a solid passer who should have a healthy market as a free agent in March.